← RIDERS ARE GREY CUP CHAMPS! This day was so incredible I couldn’t just include it in a monthly wrap up, it needed a blog of its own. My morning began fairly early trying to get everything ready so I could attend the entire event. After meeting my wrangler, I was escorted upstairs to the talent suite, not before talking to a couple of my old teachers from high school! Once I arrived in the talent suite, I just about stopped in my tracks. Tyler Shaw was there and just walked right up and introduced himself to me. It was kind of crazy! But he was super nice! From the talent suite I watched about the first hour of the show so I got to see the speech I was most looking forward to Magic Johnson, who was one of the first speakers of the day. He had one of the coolest intro videos I have ever seen! I am a huge NBA fan so it was incredible to see such a legend take the stage and see all the kids just marvel at him. My favourite part was when he got all the kids to get up and dance with him! It was really cool to see him just boogie on stage in a suit. It made him seem like a very genuine person. Unfortunately he wasn’t in the building for very long so I didn’t get to meet him. Mark and Craig’s first speech which was inspiring as always and they had some incredible facts about how all the kids got there. My favourite fact was that from their “We Create Change” campaign with RBC, there was enough pennies raised that if they were stacked vertically, end to end, they would be able to reach the international space station and back 6 times!! That’s A LOT of pennies!! Lastly before going to explore backstage I got to hear Tyler Shaw sing. Oh wow, I was so impressed!!! I hear his songs on the radio all the time but they are a hundred times better live! I couldn’t believe it! If he ever comes through Saskatchewan again, I’m definitely going to see him! After his performance, I then headed to downstairs to the backstage area! That’s where I was approached by Craig himself to take a picture with the president of Potash Corp, who is the major sponsor for We Day Saskatchewan, William Doyle. I then asked for a picture with Craig as well. He is just as kind, enthusiastic and caring as he appears on stage. He is truly an incredible human being! I feel so lucky to have met him! I found it fun though because he greeted me with a hug and said “It’s so good to see you again!” I was totally caught off guard, and quite honestly confused seeing as that was the first time I had the chance to meet him! After meeting Craig, I had the chance to talk to Spencer West. He was so amazing to talk to, such a kind individual. He genuinely cared about everything I was doing with my title even though it seemed so insignificant to the things he was doing! It was such an incredible experience talking to him! 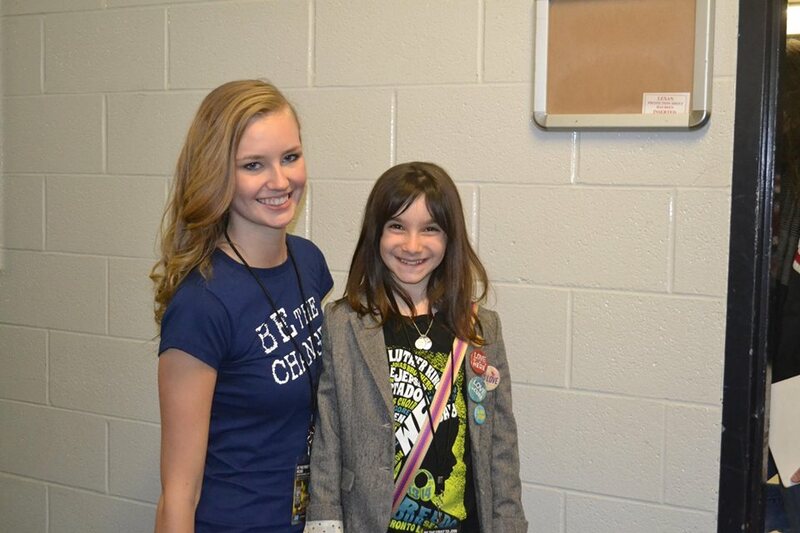 After talking to Spencer I got the chance to talk to this crazy girl. This is Hannah Alper, she is 10 years old and wise beyond her years. 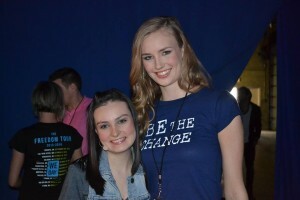 This was her 6th We Day as a speaker. Talking to her is so strange, I had to kneel down to talk to her but she knew more about different issues than I could even imagine! It felt like I was talking to someone who was at least 16 or older. It was crazy! 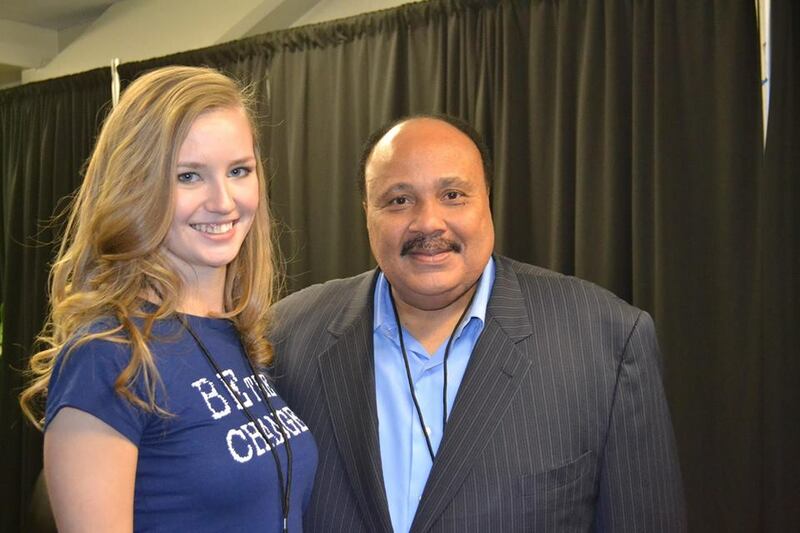 Next I went to Martin Luthur King III’s dressing room to meet and talk to him. Quite honestly, I don’t remember a lot of what he said because one of the first things he told me was “I believe that no matter what you do, it sounds like you’re going to be successful,” after that my brain just kind of stopped functioning. I honestly still can’t believe he said that I was going to be successful, ME! 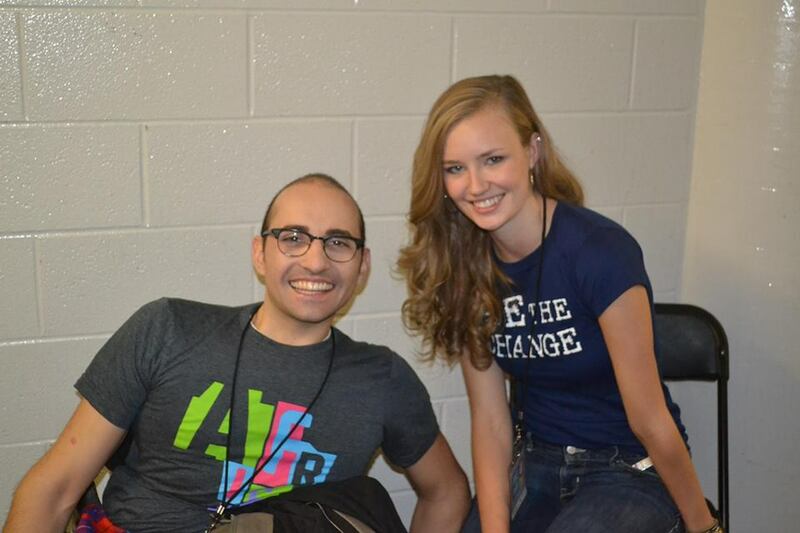 It was such an incredible honor meeting someone with such a great vision for our world! I then proceeded to the Green Room for some lunch and ran into some very cool people in there too! I had the chance to meet the Mayor of Saskatoon, Don Atchison. Actually, this was a first for me. I also had the pleasure of running into Bob Marley’s daughter, Donisha, and My name is Kay. Right before heading to make up I was asked to meet Karl Wolf. That’s right ASKED to go see him! It was kind of crazy! He was really sweet. A very chill guy. He was genuinely interested in me and all my interests. It was really cool to have someone I hear on the radio all the time, interested in my interests! Next I headed to make up, and then back stage where I got to meet Molly Burke before I introduced her. She was really sweet! To be totally honest though, I didn’t know how to approach her. 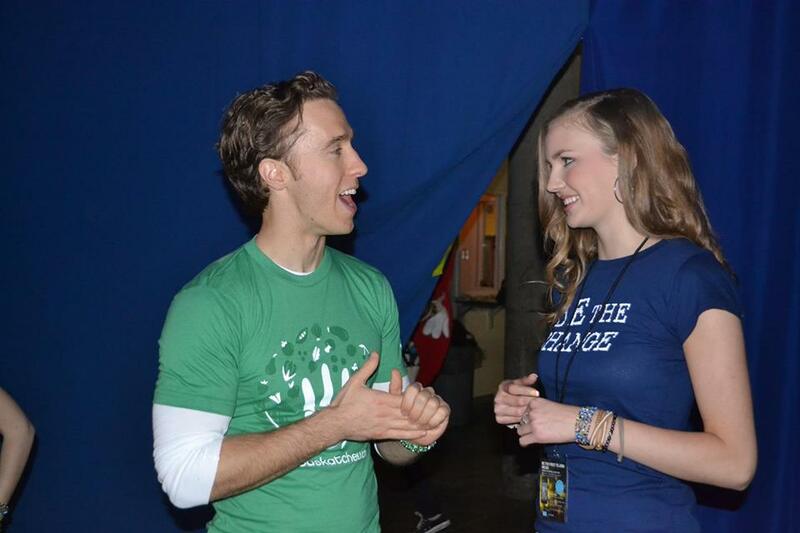 I mean, I didn’t want to scare her and it was really loud backstage. But I also felt really bad for thinking of her differently because she’s blind. I felt really conflicted! But she was really nice with an incredible story and message. I also got a last minute pep talk from Craig, and I couldn’t have asked for anything more. It was just the motivation I needed to go kill it. Walking out on that stage, getting introduced by Shawn Desman to my hometown was unforgettable. The cheers still echo in my mind. The first thing I did when I walked on stage was looked up into the crowd to where I would have been standing last We Day in the audience as a crowd pumper. It was amazing to think of how far I had come in such a short amount of time. Once I started to introduce Molly, a hush fell over the audience like I will never forget. It was incredible to think that 15,000 people were listening to me, just my voice, in that moment. It was indescribable. There are not enough adjectives in the dictionary to describe what that moment felt like. Just a dream come true! After I came off stage I ran into a couple of the boys from Neverest. They were really nice and I wish I had gotten the chance to see them perform! I had the chance to chat with Paul and Spee! 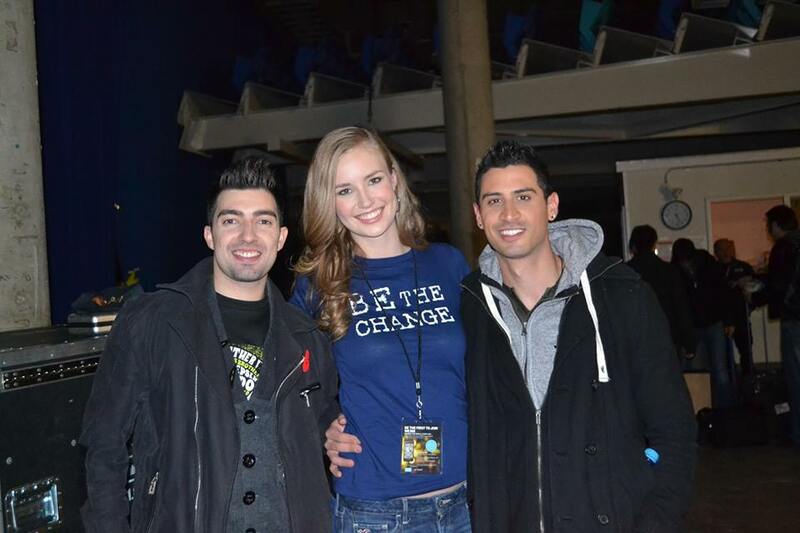 I got to catch up with them more at the after party but they are just such genuine guys! I’m pretty sure Spee and I talked about Netflix for about 20 minutes! So cool knowing they are just like normal guys! 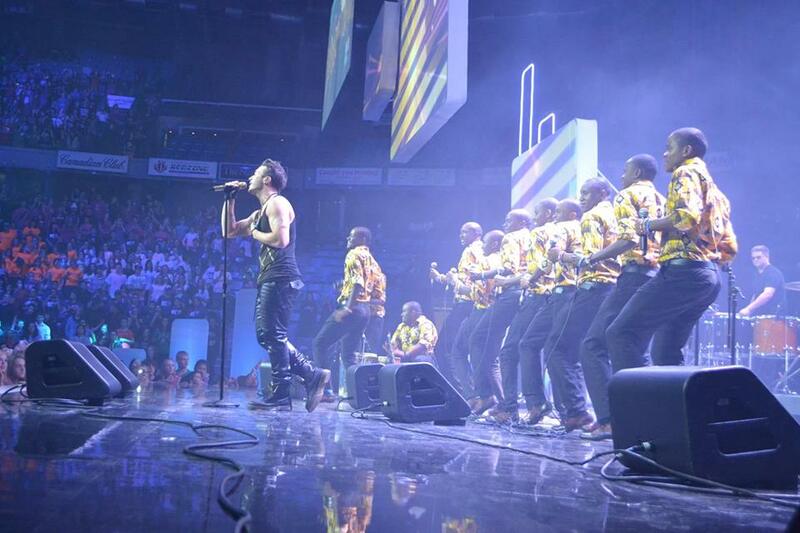 The last performance of the show was Shawn Desman and the boys choir of Kenya. I felt like I was 6 years old again dancing to his songs in my bedroom and here I was 13 years later, sitting beside stage to him performing live. I was trying really hard not be completely fan-girling. Definitely one part of the day I’ll never forget! At the after party, I had the chance to really get to talk to some really cool people such as Me to We, Free The Children, RBC and Potash Corp Representatives as well as say hi to all the stars there as well. I had the chance to talk to Ana Golja, one of the newest stars of Degrassi who was so sweet! I later found out through talking to her that she was only 17! I was fully convinced she was at least 18 or 19! Gorgeous girl with a heart of gold. We got along awesome, it was really a refreshing reminder that even teen celebrities are just normal kids. 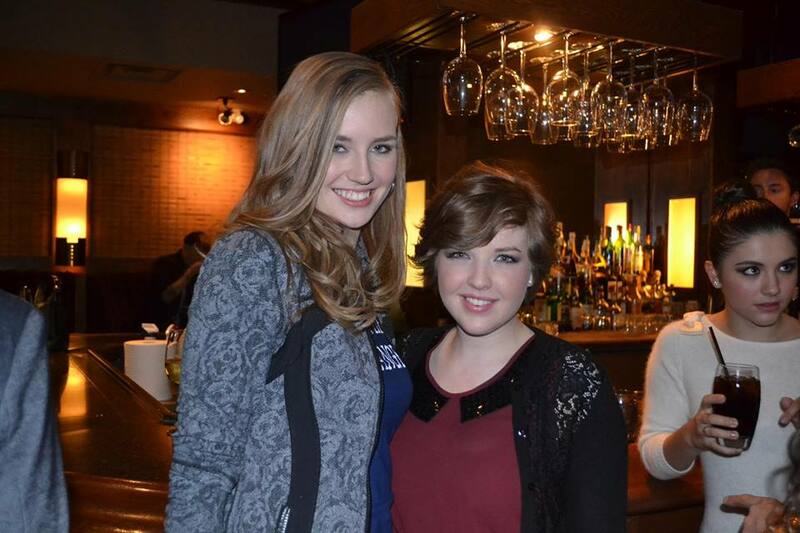 We still talk today and gush about our Gossip Girl obsession! One of my favourite people I got to talk to was Aislinn Paul of Degrassi. I had watched her on the commercials for Degrassi for years and it was very, very cool to meet her in person. She gave me some great advice about Me To We trip since she had been to a couple of different Me To We locations herself. One of my favourite things we talked about was actually just parents, school, living at home, where we want to go in life and moving out in the future. Just normal things. We even joked about moving in together. I had so much fun hanging out with her and Ana. It was really surreal to be hanging out and talking to them like I would with my friends from home. I’m hoping in the new year I will be able to meet with them when I’m in Toronto! Overall it was an unforgettable day. I’m not sure how it could have been any better. It was absolutely incredible. I would love to work for Free The Children or Me To We just so I could experience that energy and sense of family more than just once a year. 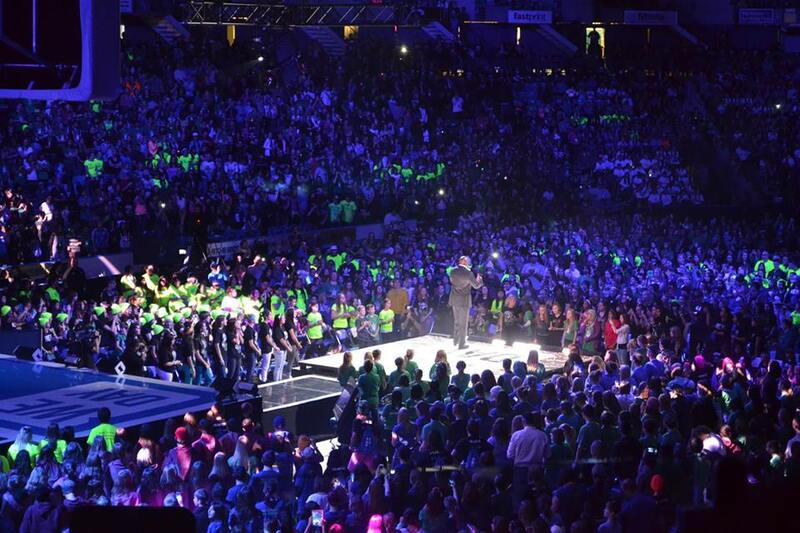 Even though I won’t be a speaker, I can not wait for next year’s We Day Saskatchewan!